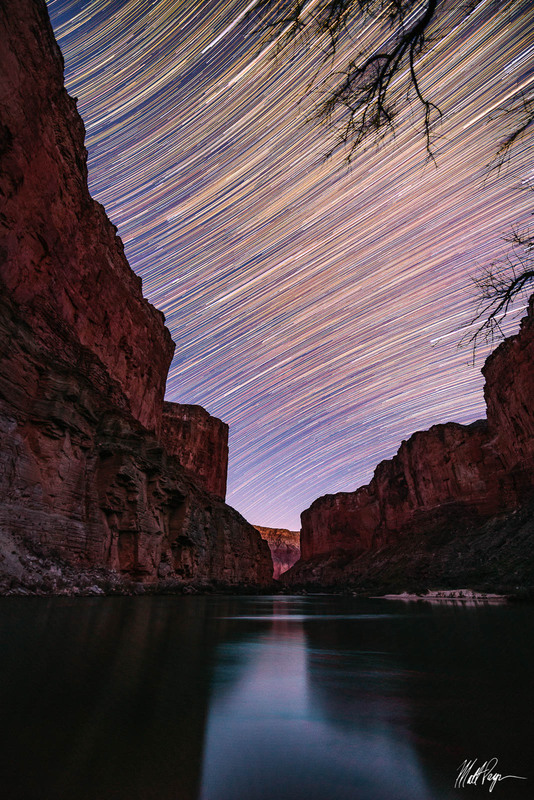 Deep within Grand Canyon National Park, I found one of the most amazing locations to photograph the night sky from the Colorado River while on a rafting trip. This particular photograph represents two hours of the Earth's rotation with a thousands of stars acting as the timekeeper as illustrated with the star trails shown here. The tranquility and awe imbued into this view will forever be fused into my memory. There's no doubt in my mind that the Grand Canyon deserves a place as one of the greatest wonders on Earth.